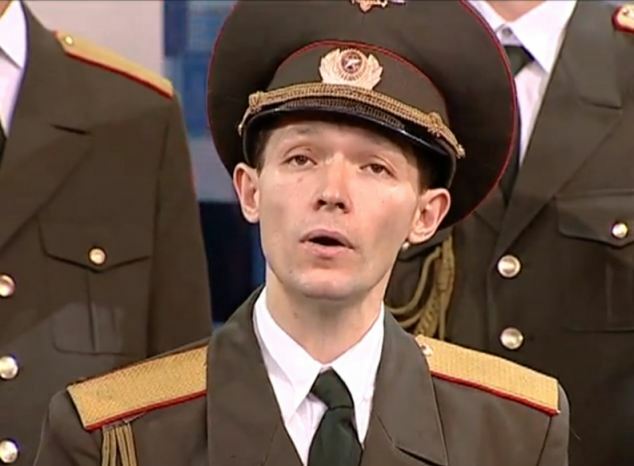 They may be historic enemies but that did not deter the Russian Army choir from choosing to sing an Oscar-winning James Bond theme tune live on breakfast television. Their stunning and surreal version of Skyfall has now gone viral and been watched almost 600,000 times on YouTube. 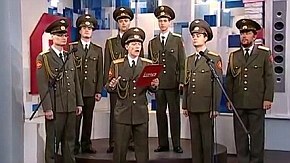 Dressed in full military uniform the seven-man choir performed the Adele classic on St Petersburg breakfast television this week. They were led by a baby-faced soloist who could not help but show his passion for the music as the song continued. However, he did require the lyrics on a clipboard that he checked regularly. He was supported by six stern-looking choristers. At one stage it appears that not all of them know the words but they gamely carry on led by the moving tenor. The four-minute performance was rapturously received by the three programme presenters who were seen swaying throughout. The footage has secured new fans for the choir across the globe. The army choir chose to sing 2012 Oscar-winning song despite Russian soldiers regularly meeting a sticky end at the hands of 007. It was perhaps the favourite as Bond is fighting cyber-terrorist Raoul Silva (played by Javier Bardem) in the 2012 film, rather than the Russians. The Russian Army Choir, now called the Alexandrov Ensemble, have an illustrious history. But they are more famously known for their renditions of Russian classics such as Kalinka than modern pop songs.